During summer I’m amazed by the beauty of Wisconsin, especially the rural areas where I live. It comes fast and furious because there is a finite number of sunlit, warm summer days here up north. All of us appreciate each of them and spend as much time out in the fresh air and sunshine as we can. To showcase that beauty, I’ve decided to do post pictures each Wednesday highlighting some aspect of Wisconsin. I hope you’ll enjoy what I choose to show you. I’ll also use the hashtag #RuralAmerica, so if you want to post your own pictures in the comments or on Twitter, I’d LOVE to see them! 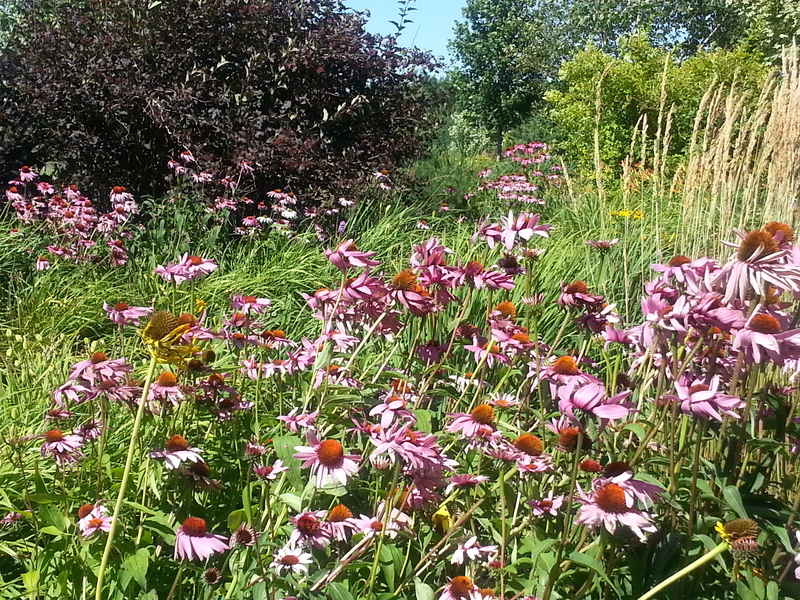 These are my purple cone flowers or Echinacea purpurea, a perennial flower in the sunflower family. In my garden it is one of the easiest plants to grow, and it also grows in the wild here in the Midwest. Most of these I never even planted. They came up from seed form the original two or three plants, but they look so pretty where they were that I left them there. 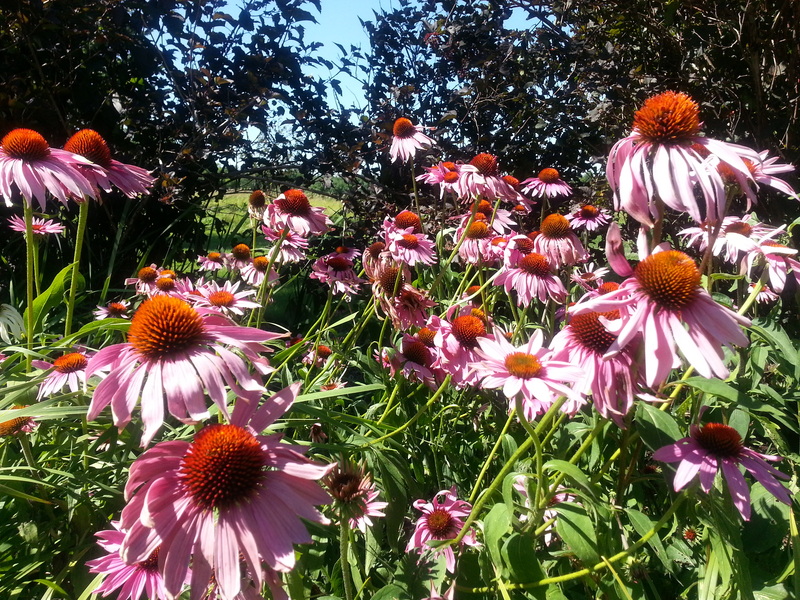 They have blessed us with numerous blooms that attract lots of honeybees and butterflies. 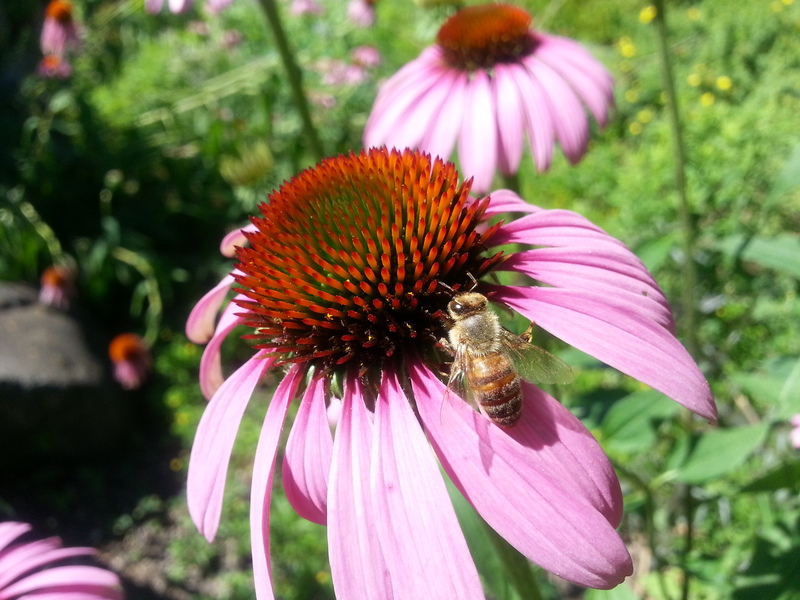 Two of our “neighbors” who live within a couple of miles of us raise honeybees, and my cone flowers are a great source of nectar for the bees who pollinate them each summer. I wish you could smell them; I wish I could make a perfume of their scent!